Time is finally taking its toll. 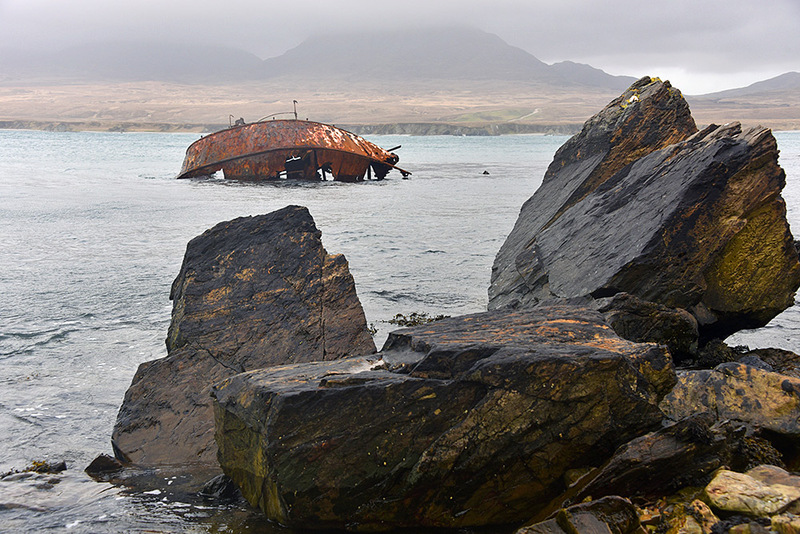 While in 1998 the wreck of the Wyre Majestic (who ran aground in 1974) was still largely complete the strong currents in the Sound of Islay have finally managed to wear down the once proud ship and only a small section of the stern remains. This entry was posted in Cloudy Weather, Landscape, New Post and tagged Bunnahabhain, Islay, Paps of Jura, Sound of Islay, Wyre Majestic by Armin Grewe. Bookmark the permalink.